The 11th meeting of the ASEAN DSAs Presidents Working Committee was held in Hanoi, Vietnam on July 3, 2018. Each DSA presented a brief update on the current issues in their respective country. 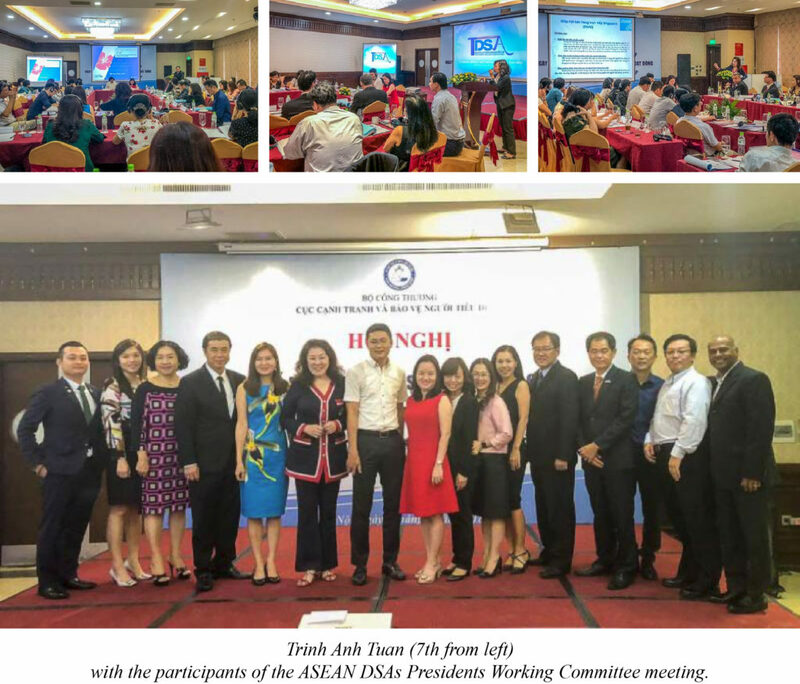 One of the main item on the agenda was the briefing by AmCham Vietnam Direct Selling Committee on the recent enactment of Decree 40, replacing Decree 42. Decree 40 regulates the Direct Selling industry in Vietnam. A copy of Decree 40 is available for Members’ viewing at the DSAM Secretariat. In the afternoon, a Direct Selling Round Table Discussion was organised by the Vietnam Competition and Consumer Protection Authority (VCCPA), Ministry of Industry & Trade (MoIT) and AmCham Vietnam Direct Selling Committee. The Chairman for this discussion was MoIT Deputy Director General Trinh Anh Tuan. Also present were the Heads of Department of Industry & Trade (DoIT) from 28 northern districts of Vietnam. The event began with the summary of Decree 40 by VCCCPA. This was followed by ASEAN DSAs presenting the laws and regulations governing the Direct Selling industry in each respective country. This event concluded with an interesting roundtable discussion of the new Decree 40 by MoIT, DoIT and ASEAN DSAs Presidents.